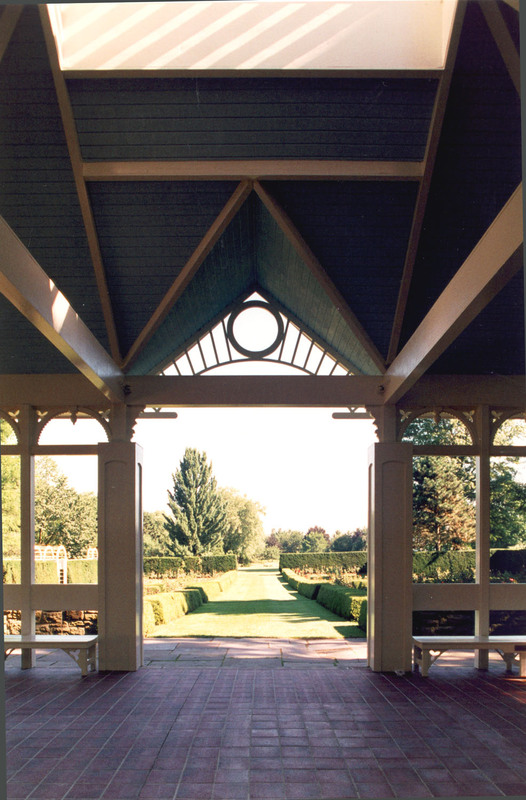 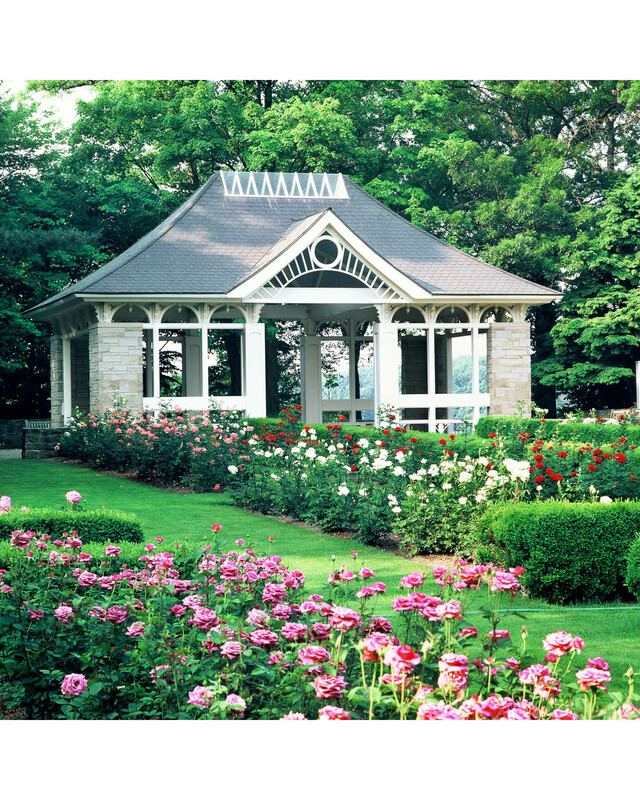 The Mill Creek MetroParks’ Kidston pavilion, located in the famed rose garden, was renovated at part of a community-service project in 1995. 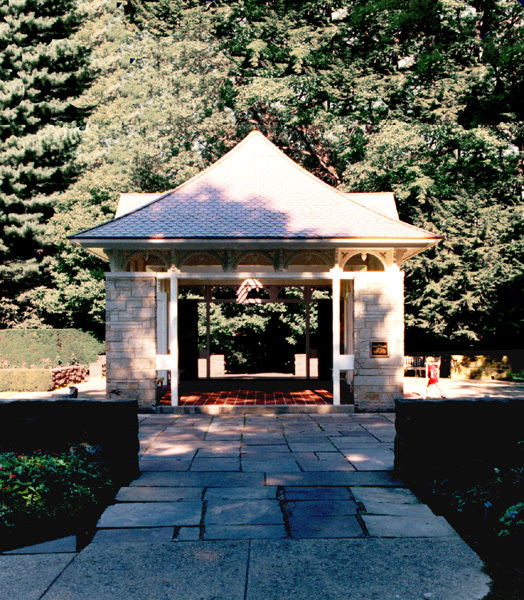 The 400 square foot structure received a replacement canopy, a ceiling elevation and skylight installation. 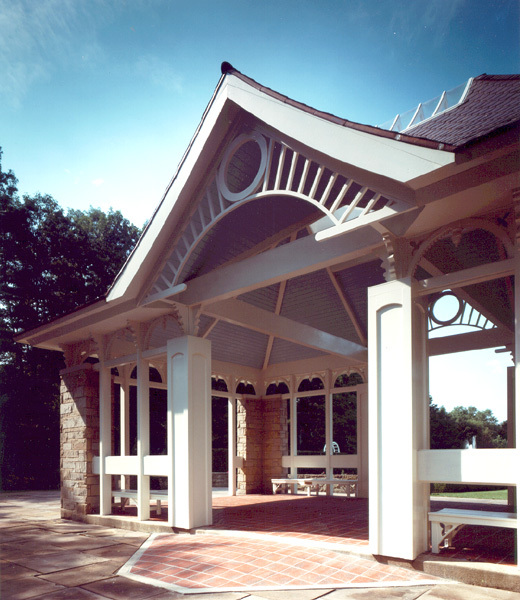 The interior ceiling was painted sky blue and copper laminated asphalt shingles provide beauty and maintenance-free durability to the Fellows Riverside Gardens landmark.